Last month I was up in Reno for a quick weekend and had the opportunity to attend the Washoe County ARES meeting held at their EOC. Bob WA6MTY, had a great turnout with the room being almost full. For those of you who never had the chance to see their EOC, its worth a visit next time you're in Reno. Bob Moss, W7WOW our Esmaralda County EC reports that he is in the process of setting up a packet station. Hopefully, another link in the packet system throughout the state. From Nye County, Jerry, KC6ILH, reminds us that its Hot, Hot, check the battery water levels in the batteries that have water. Some time you might require that battery to be fully active during an emergency. I've asked John Abrott KD7NHC to oversee the creation of an operating procedure for emergency communication on Packet within the Northwest District. This will include setup and operation of a base station, mobile station, along with using the ICS forms, NTS forms, tactical call signs and informal messages during an event. Please contact John with your ideas and input! Carson City Attended Washoe CO ARES, visited state EOC, attended Carson city citizens fire academy attended Nevada hospital association meeting worked on urgent solidarity exercise planning. Churchill County Net participation remained steady throughout the month. Had initial meeting with Churchill County Emergency Coordinator, to discuss mutual goals and objectives. Had initial prep session for deployment of portable HF and VHF equipment, and an initial deployment to Lake Lahontan to practice setup, operation and take-down of portable HF and VHF Equipment and antenna systems. All had a great time, as we checked in to the RARA, and NV ARES HF Nets, and learned what worked, and what didn't. Hope to have a couple more practice deployments prior to our participation in Field Day in June. Douglas County The Douglas County amateur Radio Team (DCART) met in April at Douglas Dispatch to further our training on Unit 900, VHF, UHF and the Packet station. Lyon County On April 15th the Lyon County Amateur Radio Emergency Services (LCARES) was called on to assist the Lyon County Sheriff s Search and Rescue (LCSSAR) during the search for an overdue aircraft. They responded thru the 18th of April the day the aircraft was found. LCARES provided essential communications by providing a relay for teams deployed in the field and then communicating that information to the Incident Command Post. Since the narrow banding of the frequencies that the LCSSAR mostly uses we are finding holes in the coverage and the area of the search had a lot of holes. During the incident debrief with the Nevada Department of Emergency Management several entities mentioned how well our communications team performed. I would like to personally thank John Abrott, KD7NHC, Brian Dickson, KB1BEX,and Tom Tabacco, KE7NCJ, for helping provide a seamless operation. I can tell you that our training paid off. We are familiar with our equipment and the players involved which makes communicating easier. Our success is based on the commitment of our members!!! Pershing County I went to HCARES in Humboldt Co; I went up to ARES in Boise Idaho. Washoe County APRIL WCARES TRAINING, Saturday April 6th ARES Training, where we held our after action meeting for the March 19th Functional Exercise. APRIL 7th and April 14th afternoons held Hamlink Packet training. Humboldt and Story County did not report. in the region so that a new APRS digi can be be installed on Cave Mountian, also a new packet digi can be installed on Kimberly mountian, also we have several vhf repeaters on several mountain tops that need repair this summer. Churchill County ARES (ARCC) had an interesting month, practicing traffic handling, both by voice, and packet, simplex operation on both VHF, and HF, and enjoying an interesting monthly meeting, centered around a field trip to NAS Fallon, and their Emergency Operations Center. Future ARCC member and NAS Fallon's Emergency Manager Barry, KF7ZFM, hosted our monthly meeting at his Base EOC. Barry was a gracious host, fielding and answering many varied questions. NAS Fallon's EOC is equipped with VHF equipment to interface with both Churchill Counties Voice, and Packet Networks. Communications John, W7JDC. A good turnout enjoyed a spirited discussion of the growing NW District BPQ-32 Packet Network. Keep up the great work, John!! Douglas Dispatch with the help of Dale KV7S, Joe AB7TJ, Dale KJ6IX, Installed a new 2 meter radio for the Packet Station thank you. The weekly nets are consistant in numbers. We are now talking about Field Day and other Amateur Radio related topics during our monthly meetings. the same page of the play book. I also help IDAHOE ARES as a relay station on Thursday night 1830 on 3929 kh. MARCH WCARES TRAINING, Saturday March 2nd ARES Training , where we held our final planning meeting before the Functional Exercise followed by another Skywarn training by Chris Small comb of NWS for those who could not make the last training. March 11th, Derek KF7KEM and I coordinated a tour of the REOC and 911 dispatch to a troop of Boy Scouts and parents. March 16th was an Urgent Solidarity Functional Exercise communications pre-test for those members that will not be able to participate in the exercise on Tuesday the 19th. Teams set up portable operations at the three schools that are impacted by the earthquake scenario, and the high school that will be the evacuation point during the Full Scale Exercise. March 21st Derek KF7KEM and I attended the Washoe County Emergency Planning committee meeting where a UNR seismology lab representative gave us a rundown on all the current earthquakes just south of Boarder Town. the packet radio stronger in Northwestern Nevada. Thank you to the LCARES team for all their hard work. 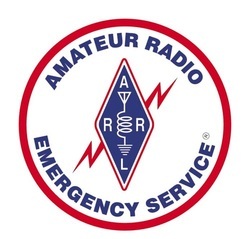 presented an outline of a new program that our COM-L would like ARES to commence in the near future, involving members going to served agencies and routinely powering up and checking the radios. There will be 13 locations involved. Our normal quarterly meeting, set in April, was moved to March 30 due to a conflict with a major public service event being scheduled on the same day as the April meeting. Our next quarterly meeting will be on Saturday, July 27. Jerry, KC6ILH, our Nye County EC reminds us that its April, do not be fooled. Check that go kit and your batteries.